Restore yourself in custom comfort with The Number Bed by Instant Comfort®. Have a supportive surface for reading and a relaxing one for rest. The Number Bed makes perfect sleep for available for everyone. It’s the bed that everyone’s talking about, and it’s here at Mattress World Northwest. 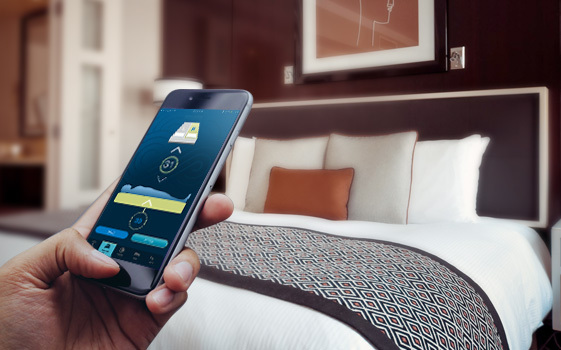 These state-of-the art mattresses allow you to control the softness or firmness of your bed using the millimeters mercury scale (mm/Hg) which is the medical-standard. In fact, each bed has over 45 different comfort settings. This allows you to enjoy a highly customized sleep experience, reduce tossing and turning, and to wake feeling well rested and rejuvenated. Instant Comfort beds rely on over 40 years of mattress making expertise and stand behind our promise to deliver unmatched quality to our customers. We always use the highest quality materials and both our engineers and scientists are focused on the forefront of sleep technology. 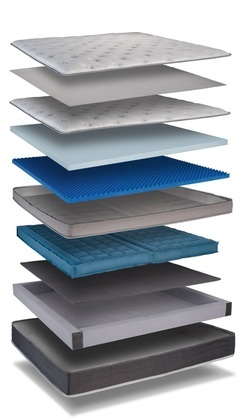 Produced by American National, the leader in medical grade bedding, these mattresses are quickly becoming the standard in adjustable sleep products. Produced only with the finest materials, Instant Comfort mattresses are constructed with a patented air chamber pump and control system, multiple memory foam layers, a duvet style reversible aloe vera/bamboo pillow top cover, and a state-of-the-art control system. Each system comes with wired controls and the option to manage your control directly from your Android or iOS device. Ready to Experience Instant Comfort for Yourself? The Q5 is our most affordable mattress to include our 3 piece cotton pillow-top cover. 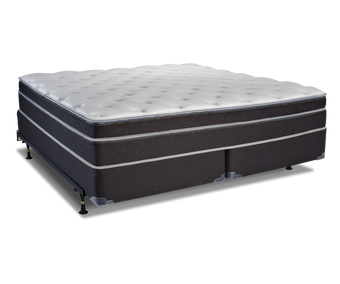 Beyond the premium top-cover, the Q5 includes a 2" layer of convoluted foam for increased comfort and contouring above the air chambers, as well as the support layer of foam below the chambers. The Q9 features our most advanced top cover, with Platinum Thermacool technology on both sides of its reversible cover. Beyond this, the Q9 includes a layer of gel-infused visco-elastic foam, a 2″ layer of convoluted foam for increased comfort and contouring above the air chambers, as well as the support layer of foam below the chambers. Get precise with The Number Bed by Instant Comfort®. Controlling your Number Bed is easy. Just download the Instant Comfort® app from the App Store or Google Play store and drifting nights of shiftless slumber await! It’s compatible with iOS and Android, so all smartphones can operate it. Provides individual comfort with dual-zone adjustable Queen size and above. Comfort settings and adjustments are precise with medically recognized pressure scales. 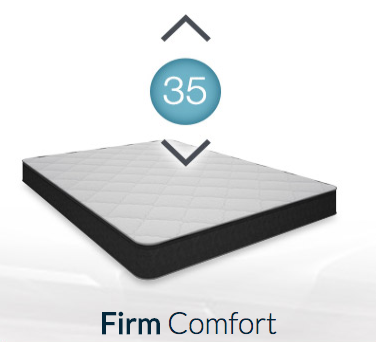 With comfort settings in each mattress ranging from five to fifty, finding the perfect feel is easy. Improve your blood flow and circulation by relieving pressure points for optimal alignment. Change comfort levels easily by operating from your iOS or Android device. 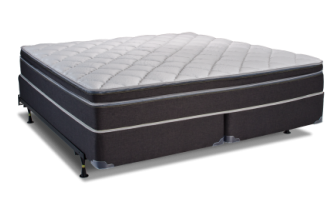 Our top of the line model, the Ultra-Plush Comfort series combines our exclusive adjustable air technology with the “pillow top” feel and a vast array of comfort layers. With a flexible range of four models including the Q5, Q7, Q8, Q9, we make an Ultra-Plush Comfort to fit everyone’s needs. 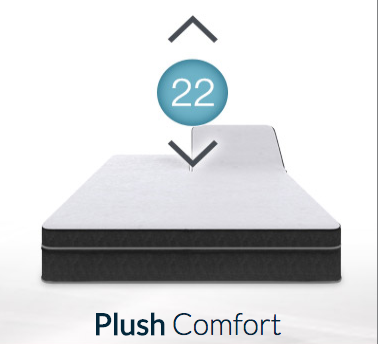 The Plush Comfort series blends the benefits of a premium plush mattress seamlessly with the proprietory Instant Comfort® to ensure an incomparable experience of slumber. 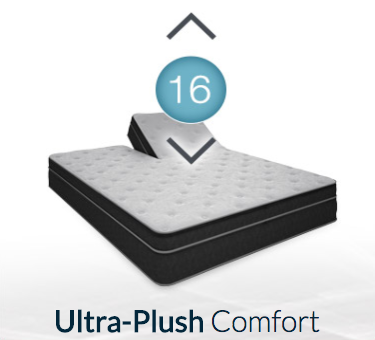 Experience the Instant Comfort® difference with one of our three Plush Comfort models. Select from the Plush Comfort S7, Plush Comfort S8, and Plush Comfort S9. The firm comfort series brings adjustable comfort to everyone. As well as being the most affordable option in the series, the firm comfort is a top quality mattress for those who enjoy a more supportive sleep experience. 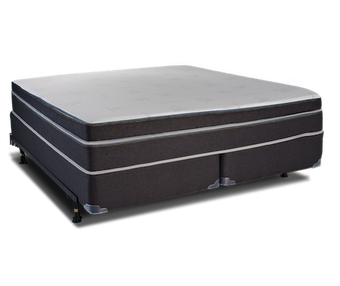 Come in to Mattress World Northwest to find out if the Firm Comfort Q2 and Firm Comfort Q4 is the perfect bed for you.